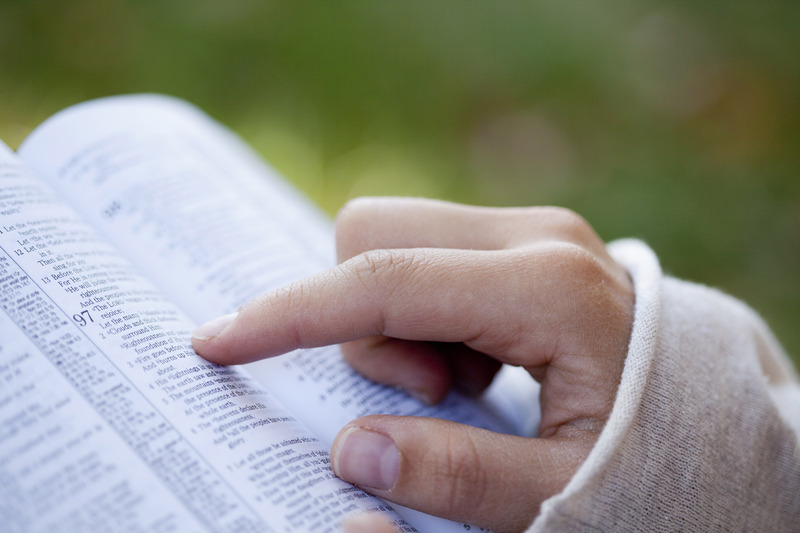 What are the steps we need to follow to enjoy the blessings of God’s Word? How can we implement them? Studying, understanding, and practicing the principles of God’s Word are the essential pillars of a healthy Christian life. We are not talking about just reading the Bible but studying it under the guidance of the Holy Spirit. The second pillar is understanding the Bible. Since the Scriptures were written by men inspired by the Holy Spirit, we need to be under the control of the same Spirit to understand it. Besides this principle, we need to follow other steps to enjoy the blessings of God’s Word. This is just an example of the problems faced with Bible translations. That is the reason why we need to compare different versions of the Bible to have a clear understanding of the Word of God. In Romans 12:19, we find another example: Most of the Bible versions quote this verse this way: “Dearly beloved, avenge not yourselves, but rather give place unto wrath, for it is written, Vengeance is mine; I will repay, saith the Lord” (King James Version). “Beloved, never avenge yourselves, but leave it to the wrath of God; for it is written…” (Revised Standard Version). “Never take vengeance into your own hands, my dear friends: stand back and let God punish if He will” (Phillips). “My dear friends, do not seek vengeance, but leave a place for divine retribution” (New English Bible). These differences in Bible versions also affect very important and even fundamental doctrines. “Let this mind be in you, which was also in Christ Jesus: Who, being in the form of God, thought it not robbery to be equal with God.” (King James Version). “Let Christ Jesus be your example as to what your attitude should be. For He, who had always been God by nature, did not cling to His prerogatives as God’s equal.” (Phillips). “Unto the angel of the church of the Laodiceans write: These things saith the Amen, the faithful and true witness, the beginning of the creation of God” (King James). “To the angel of the Church at Laodicea write: These are the words of the Amen, the faithful and true witness, the prime source of all God’s creation” (New English Bible). When Christ faced the fiercest temptation from Satan, His victory was based on His infallible weapon, “It is written.” On the other hand, Satan also made use of this weapon, but only by perverting it. Today we are facing an identical situation. From time to time some, perhaps well-intentioned, person or group come with messages based only on human opinion, interpretation, or tradition to call sympathizers after them. In this kind of work, those involved in false teachings misuse the Bible and Spirit of Prophecy, and we should be very well guarded among these attacks. During His face-to-face struggles against Satan, the archenemy challenged Christ to transform stones into bread. Christ refused to use His divinity to save Himself from trials. Even though He was and still is fully divine, He came to give a perfect example of submission and obedience to the revealed will of God as a man. If He would use His divinity to save Himself, He couldn’t be our example. His answer to the tempter was: “Man must not live on bread alone but on every word that comes from the mouth of God,” Matthew 4:4. In his second temptation, Satan used an isolated Bible verse out of context to seduce Christ to throw Himself from the pinnacle of the temple. When we use an inspired quotation out of context from the Bible or Spirit of Prophecy, we are using a satanic method. Regarding the words of inspiration, we face different problems: From time to time we face some people using an isolated Bible verse or paragraph from the Spirit of Prophecy trying to establish a false doctrine. Even words that were never spoken by the Lord in the Bible or Spirit of Prophecy are quoted in the name of the Lord. Some years ago, I was invited to preach during a great gathering, and I had forgotten all my ties at home. Then a friend offered me his available tie, which happened to be red, and I wore it during the divine service. After finishing the message, one very zealous sister came to me with a question: “Brother Silva, do you know that Sister White wrote against the use of red ties?” My reply: “Could you show me in her writings the text against red ties?” The sister said to me: “I don’t know the source, but she wrote it.” And she left. Many times, we used to preach that “the last work of Jesus in the most holy place would be answering the prayers of mothers on behalf of their wayward children.” Once, when I was preparing a sermon about Christ's intercessory work I tried to find that quotation, and, to my dismay, I concluded that that quotation simply doesn’t exist. What a disappointment! Yet that quote was published in Portuguese, mentioning the source in English. Yet it was just a fake quotation. Besides using only what “it is written”, we need to use the Word of God in an honest and proper way. To understand the Bible, we need the guidance of the Holy Spirit and willingness to do God’s will (John 7:17). The Bible explains itself. When studying one doctrine, we need to search in the entire Bible for verses about that subject. It is very risky to take an isolated verse and come to a hasty conclusion based on that verse alone. We need to compare it with other verses that relate to it. The Bible reveals two fundamental truths: Jesus Christ and the plan of salvation, which includes obedience to the divine Law. By the way, the whole Bible is an amplification of God’s Law. The essential points for our salvation are 1. Believing in Jesus as our personal Savior and 2. Obeying God’s Law. If we study the Bible considering these two essential points, we will be on the right track to understanding God’s Word (see Isaiah 8:20). “The questions that most concern us are, Do I believe with saving faith on the Son of God? Is my life in harmony with the divine law? “He that believeth on the Son hath everlasting life: and he that believeth not the Son shall not see life.” “And hereby we do know that we know Him, if we keep His commandments.” John 3:36; 1 John 2:3.”The Desire of Ages, p. 396. When Christ occupies the center of our studies and investigation of the Scripture, we find the right way to interpret the Bible. When we study prophecies, Christ must be in the center of that interpretation. Otherwise, we will come to wrong results. The same principles of interpretation are applicable to the Spirit of Prophecy. We should focus our attention on central issues. This way leads to an accurate understanding of the message. We need to emphasize subjects of major importance. Ellen White wrote that “the enemy of our work is pleased when a subject of minor importance can be used to divert the minds of our brethren from the great questions that should be the burden of our message.”(1SM 164, 165). We need to study all the available information on a topic. Like the Bible, also with regard to the Spirit of Prophecy, we cannot establish a doctrinal point based on an isolated quotation. We need to avoid extreme interpretations. Like the Bible, the Spirit of Prophecy is very balanced. For instance: Ellen White says that we cannot be saved by works, but we cannot be saved without works as well. We are not saved by our obedience, but we cannot be saved without obedience. We need to take time and place into consideration. “Regarding the testimonies”, Ellen White wrote, “nothing is ignored; nothing is cast aside; but time and place must be considered”(1SM 57). We need to find the underlying principles. At the turn of the twentieth century, Ellen White wrote: “If girls… could learn to harness and drive a horse”(Edu 216, 217). That was practiced in her day but is not of much use today. However, the principle undergirding that counsel is very important today. That is, young women should be self-sufficient in transportation. Thus, in our day they should be able to drive a car and change a tire. We should avoid making her writings prove things they were never intended to prove. When we try to prove our own points and use EGW writings to confirm our position, we commit serious mistakes that create big problems for the church, and many souls are deceived. We need to be sure that Sister White said it. Many statements are attributed do Ellen G. White that she never made. The only safe course is to utilize those statements that can be found in her published works. “And now to all who have a desire for truth I would say: Do not give credence to unauthenticated reports as to what Sister White has done or said or written. If you desire to know what the Lord has revealed through her, read her published works. Are there any points of interest concerning which she has not written, do not eagerly catch up and report rumors as to what she has said.”5T 696. “Here is the patience of the saints: here [are] they that keep the commandments of God, and the faith of Jesus,” Revelation 14:12. “And the dragon was wroth with the woman, and went to make war with the remnant of her seed, which keep the commandments of God, and have the testimony of Jesus Christ,” Revelation 12:17. “The testimony of Jesus is the spirit of prophecy,” Revelation 19:10, last part. The expression “Spirit of Prophecy” is applied to the Bible and to the inspired writings of Ellen G. White. In our journey to heaven, our safety is found in the study and obedience to the Word of God, under the guidance of the Holy Spirit, without preconceived ideas. When we quote God’s Word, either the Bible or Spirit of Prophecy, we should be sure that the Lord really said that. Said the apostle John in Revelation 22:18, 19: “I testify to everyone who hears the prophetic words of this book: If anyone adds to them, God will add to him the plagues that are written in this book. And if anyone takes away from the words of this prophetic book, God will take away his share of the tree of life and the holy city, written in this book.” (Holman CSB).